Popcaan is once again making his feelings towards Alkaline be known. While Alkaline and Vybz Kartel fights over the dancehall “donship” title, Popcaan is choosing his side and natural he sided with the Gazanation don. 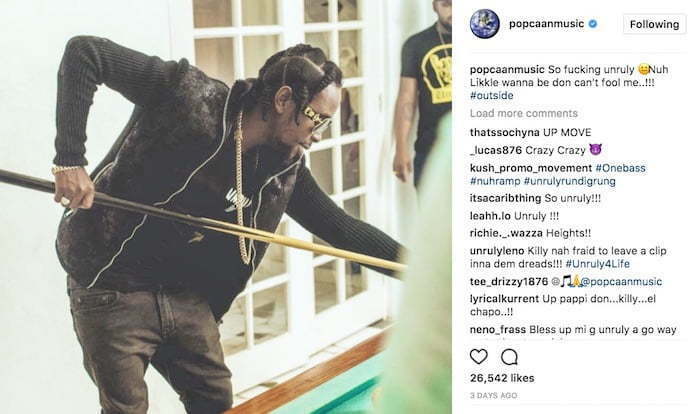 The Unruly Boss took some shots at his dancehall rival over the weekend referring to him as a “wanna be don.” “So f***ing unruly Nuh Likkle wanna be don can’t fool me #outside,” Poppy wrote. In case you were off the grid for a good minute, last week Alkaline and Vybz Kartel went buck heads while proclaiming themselves to be the don of dancehall. So Beenie Man already takes the king title and Bounty Killer takes the general title. Now it’s all about the “one don.” Kartel released a new single “Don’t Come Back” where he not only rip his baby mama but also proclaim himself as the don. “One don one don that’s me / Kartel, Worl’ Boss or Teach / Run street whether black or bleach,” he rhymes. 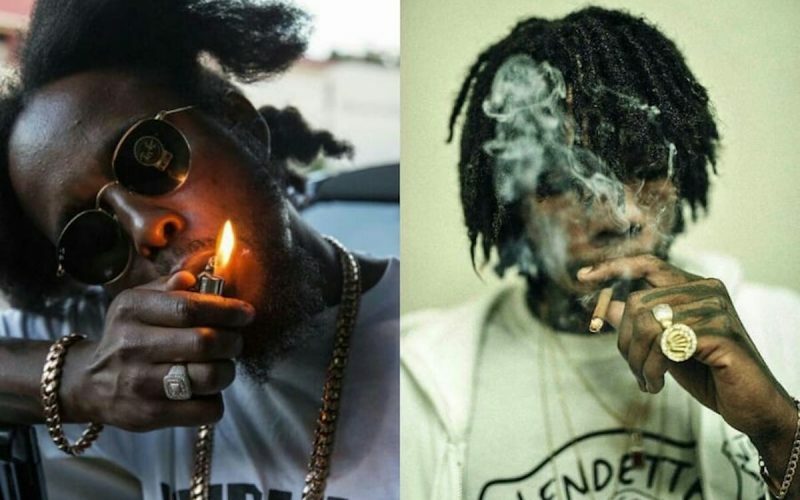 It didn’t take long after the song’s release for Alkaline to post on IG calling himself “1 Don.” Now it’s Popcaan’s turn to say something, and while he didn’t bestow the title onto himself, he basically said Vybz Kartel is the true don, not surprisingly.